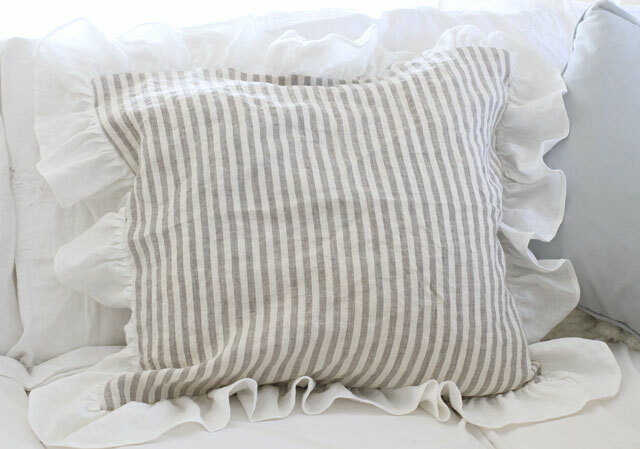 This fabulous striped french style Euro sham is handmade of high quality linen. 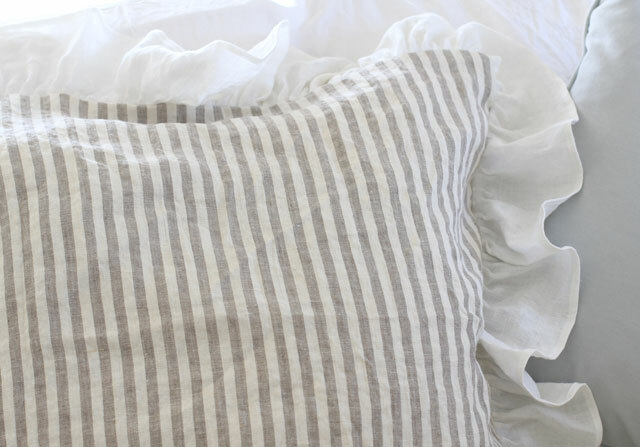 The stripes are a soft faded gray on an soft creamy background. 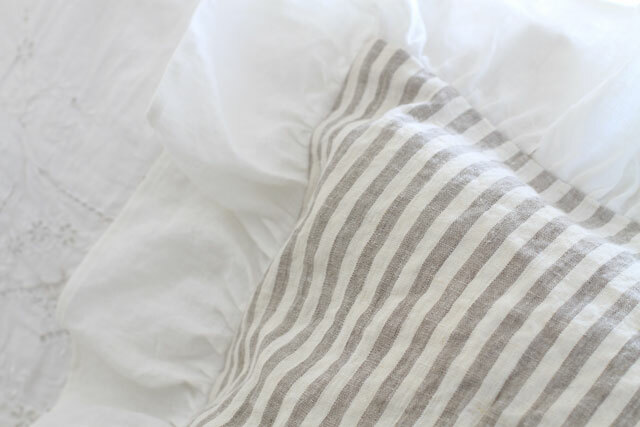 This has a 4' off white ruffle that adds the perfect feminine touch to this stunning sham. 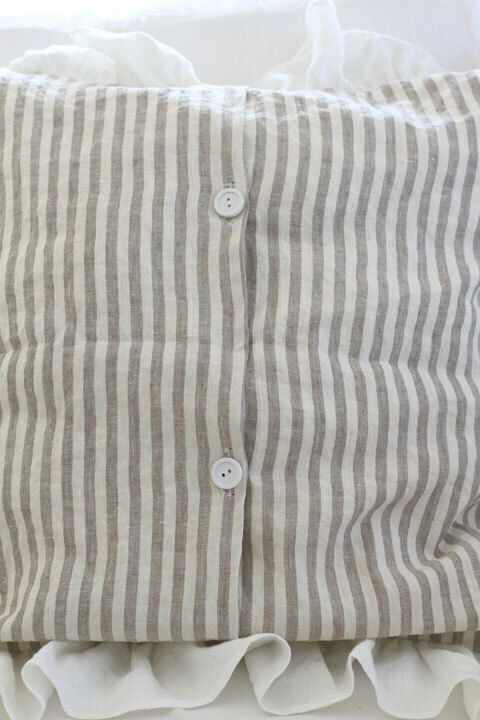 This has two buttons on the back for easy cleaning. Insert not included. This is a 26x26 sham but I used a 24x24 insert for a floppy look. So this will look stunning which ever your preference. Enjoy!